otherwise this is the trading range. 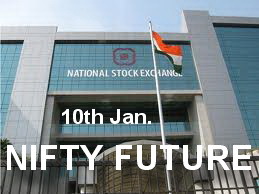 But trade and stays above 4810 can move up to 4930-4950 or optimum 5004-5024. CIPLA (345) - Last post regarding this stock was on 06th Sep. 2011, post was "LAST HOPE AND SUPPORT 280-270" as posted it supported and stayed there nearly one month (and never brreak the support) and now trading at 345. BHARTIARTL (320) - Recently topped out at 360 so the hurdle remain same.